How did you get that WWII document when most of them were supposedly destroyed in the 1973 fire? I am still trying to locate my Dad’s documents where he was pulled out of the theater of operations in Italy after being captured on Nov. 08, 1942 during his parachute jump during the initial morning of Operation Torch. According to the Geneva convention, any released personnel had to be removed from the Theater. My Dad and everyone on his plane were pulled and sent back to the States. 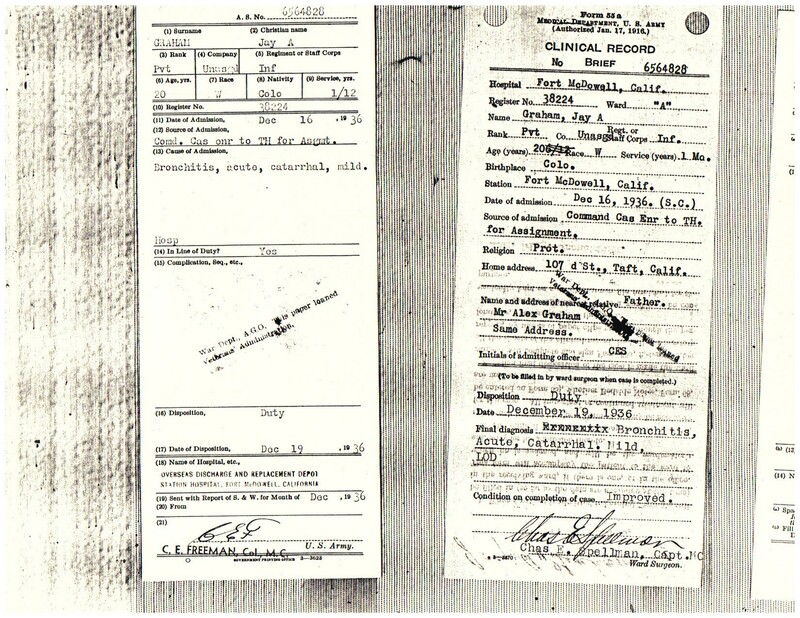 I am trying to prove that he was considered a POW during WWII. I have letters from his Lt. showing where he was injured in the jump and notices from the Red Cross of him being located. There is also a book written call Bailout over North Africa. that mentions him on the plane’s roster. The VA says BS. Here’s the thumbnail on the long and the short of it, Gary. Once upon a time, the VA was an arm of the Department of Defense. Before Fort Fumble was even built, the War Department, as it was known, had all of our records and they never, ever lost them. This was before shredders were invented by VA. After the first World War in 1930, the VA, as it is now known, became a sub-entity of sorts and got a promotion up to the Veterans Administration. It still wasn’t cabinet status but was a lot higher than being in the basement in downtown DC somewhere. True agency independence occurred in 1989 with the inception of the modern DVA as we know it now. As for records, they have been trundled here and there and finally found a home at the NPRC in St. Louis. Most, if not all, records of World War 2 are kept there. However, the War department (now the Dept. of Defense), keeps their own records of troop assignments which is why we can determine who was where and when. This is called the Joint Services Records Research Center or JSRRC for short. We, as peons, do not have direct access to this database. VA can and does use it to research PTSD claims. Now for the deep breath. You seek your father’s records. If you have his original Service number, it helps. 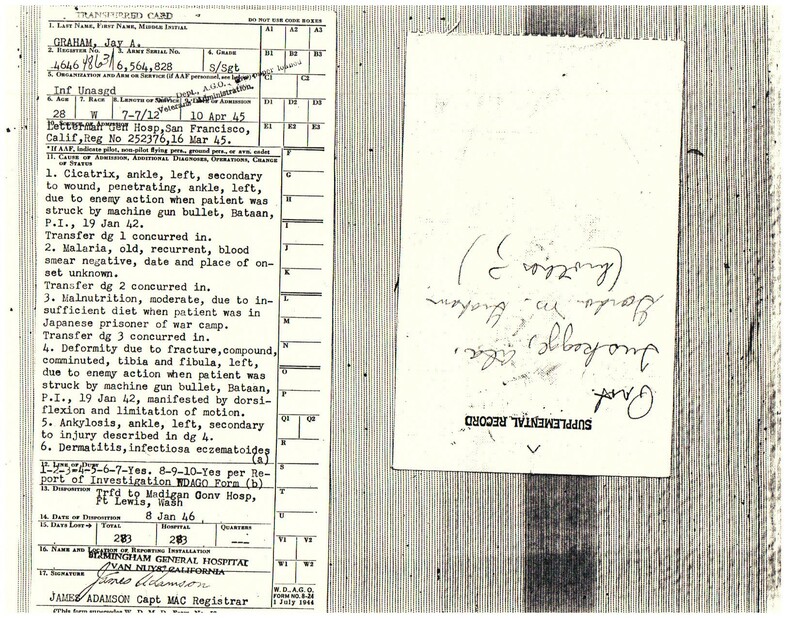 Otherwise, his DOB, branch of service and a brief idea of his time in service can help to excavate his records. 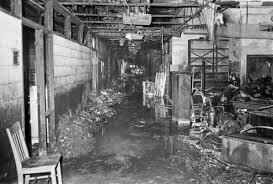 What, exactly was destroyed in the July 13th, 1973 fire seems to be a matter of conjecture. VA will maintain that records of Vets they cannot locate were consumed that day. This doesn’t explain how someone who served after July 13th, 1973 could have his records go up in smoke but VA regularly uses this excuse to explain how the dog ate your c-file. 75% loss to records of U.S. Air Force personnel discharged September 25, 1947, to January 1, 1964, with names alphabetically after Hubbard, James E.
Some U.S. Army Reserve personnel who performed their initial active duty for training (ACDUTRA) in the late 1950s but who received final discharge as late as 1964. None of the records that were destroyed in the fire had duplicate copies made, nor had they been copied to microfilm. No index of these records was made prior to the fire, and millions of records were on loan to the Veterans Administration at the time of the fire. This made it difficult to precisely determine which records were lost. What the NPRC and the VA will not divulge is that there three different areas of records in three separate areas. The first are the most common ones mentioned above. They are, in essence, the sole record of military and medical records. Newer, post-WW2 and Korea Veterans’ military records are stored separately from the medical ones. And last but not least, all inpatient service medical records are stored in a completely different part of the building. 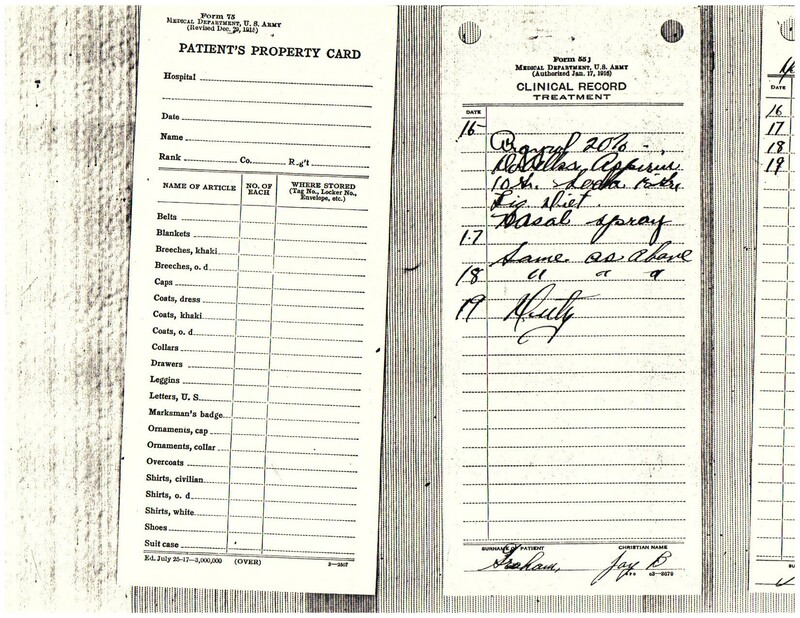 If your father was hospitalized for his injuries, you would be wise to look again for his records at the NPRC and to specify they search the inpatient records specifically. 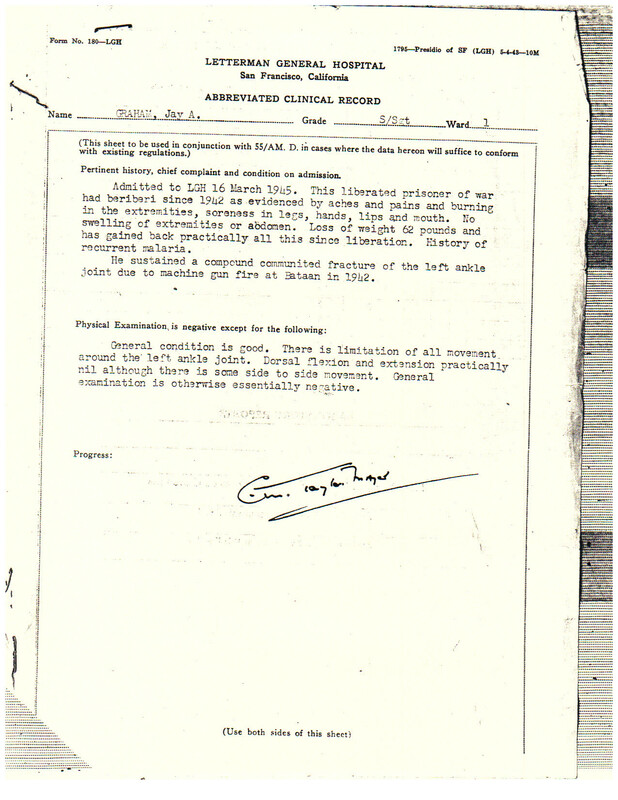 Additionally, the NPRC folks have been hard at work rebuilding all those files since it happened. It could be they have resurrected your dad’s file or a part of. NPRC, God bless their souls, are incredibly, well, government employees first and care about our travails as a distant, second afterthought. I have request my records three times and received newer stuff I’ve never set eyes on before in each succeeding request. The branch of service he was in also has a bevvy of records they have kept as well which is where some of the JSCRR info comes from. Here’s a small sample of what can be had if you keep your nose to the grindstone. 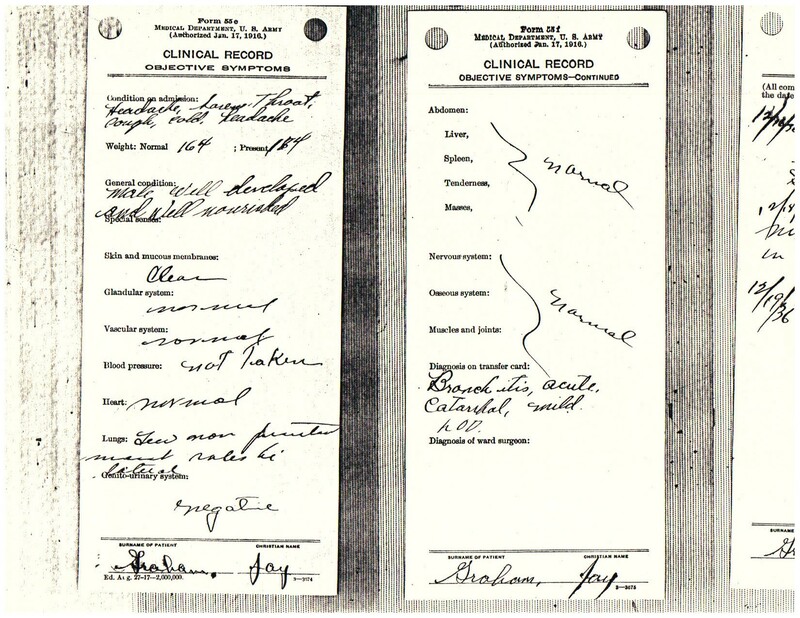 These are what we call SMRs or Service Medical Records. To confuse us or keep us off balance, VA now calls them Service Treatment Records or STRs. Notice the two holes at the top of the records. 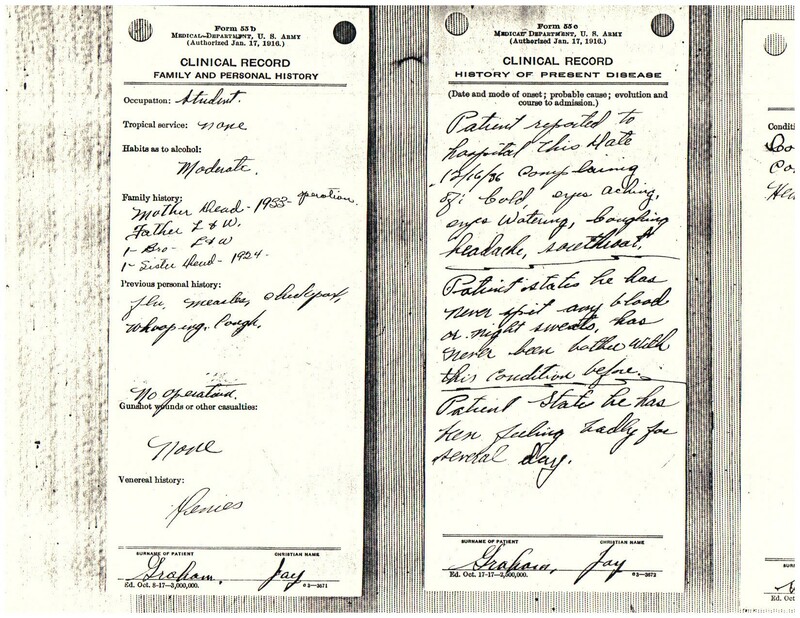 They are the punched holes from anything that has been to the VA and included in a paper c-file. One day they will no longer exist as we are now graced with the VBMS electronic records. To view these records, put your cursor on the photo and left click it to magnify them. This entry was posted in From the footlocker, NPRC 1973 Fire, research and tagged ASKNOD BOOK, asknod.org, asknod@wordpress.com, Disabled Veteran, DIY vA Claims, Gulf War Claims Help, Help with vA Claims, Helping Veterans, Inspirational Veterans, Korean War Vets Help, Veterans claims help, Vietnam Veterans Claims Help., war mementos. Bookmark the permalink.